There is a HUGE number of events and festivals, both traditional and modern, in Ireland. For citizens of the EU and most Western countries no visa is required. UK nationals born in Great Britain or Northern Ireland do not require a passport to visit the Republic. None – unless you include excessive Guinness drinking – no, that’s impossible! As of January 1, 2002, the euro (€) replaced the national currency of 12 countries within the European Union, including Ireland. You can exchange currency at any bank branch (hours are listed below). Automatic cash machines can be found in most commercial centres.Note: as Northern Ireland is part of the United Kingdom, the pound sterling (£) is in use and denominations are similar to that of the euro. Bank Opening Hours Most banks in Ireland are open from Monday to Friday from 10.00 a.m. to 12.30 p.m. and from 1.30 p.m. to 3.00 p.m. One day a week there’s usually extended opening until 5.00 p.m., often Thursdays, although it varies.In Northern Ireland the opening hours are 10.00 a.m. to 3.30 p.m. Monday to Friday. In some places, the banks close for lunch 12.30 p.m. to 1.30 p.m.In both areas of Ireland, banking in small villages can be a hit and miss affair, only on two or three days per week. So the golden rule is: get your cash in the larger centres! ATMs have become more widely available and some post offices can also provide limited cash services. 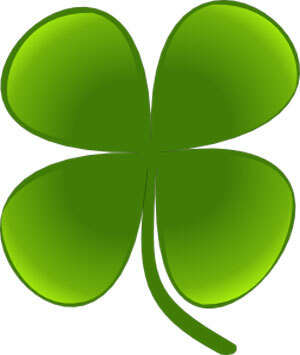 Travel to Ireland: a Four Leaf Clover Europe tour to be sure! An update on 2011 would be useful don’t you think for the bank holiday? Absolutely, Pam, thanks a lot for drawing our attention to it, it just slipped through the net! Correct now, we hope!